I was first introduced to Pinterest in high school. It was like the best-kept secret on the internet! You even needed an invitation to get access to the platform. But today, Pinterest is just a little bit different. Anyone can get access to a Pinterest account! Pinterest even recently removed the “like” feature! But most importantly, they implemented an algorithm that sifts through all the pins and delivers the best ones to you on your “smart feed”. They also use this algorithm to determine what pins will appear in search. Now doesn’t that sound kinda familiar? Using an algorithm to decide what appears in search? Yep, you guessed it. Pinterest is now just like Google! Pinterest is no longer just a social media platform, they are a search engine. And they have been moving in this direction for a while now. Think about it. What do you use Pinterest for? Are you more likely to chat with your friends or search for a recipe idea? I already know that it’s the latter without hearing your response. Today, Pinterest has over 150 million monthly users. And Pinterest gets over 2 billion searches per month. Pinterest is an undeniable powerhouse. 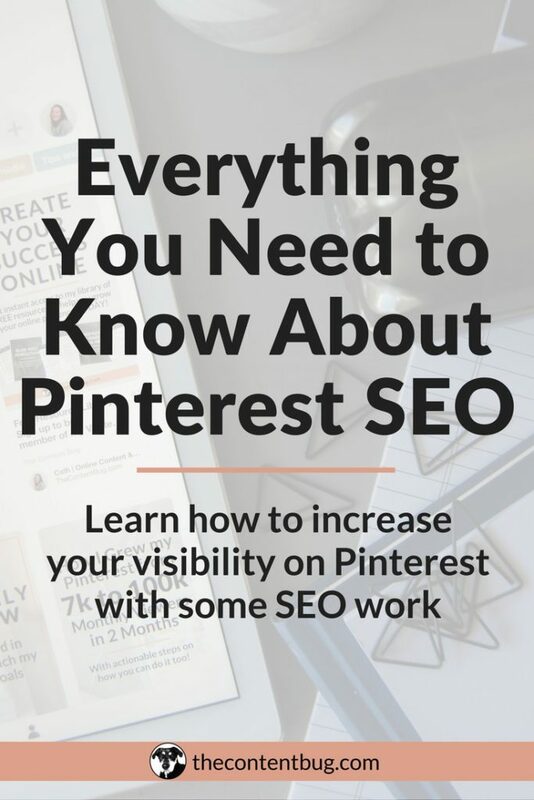 And if you are optimizing your website for SEO to appear in search on popular search engines, then it’s about time that you got up to date with Pinterest SEO so you can conquer that platform as well! Just like Google, Pinterest has an algorithm that gets to pick and choose what appears in a search. But this all starts with the “smart feed”. Way back in the day (aka high school), the Pinterest home page used to contain all pins from the accounts that you followed. So if someone went on a rampage and shared 100 pins about babies, you were stuck seeing them unless you unfollowed their board. Today, things are a bit different. Pinterest wants you to enjoy your home feed. And this means only seeing content that you care about and will enjoy. So instead of seeing everything from the accounts that you follow, you only see a few select pins. This means that instead of the “newest pins” first mindset, Pinterest now delivers the “best pins” first! Well, this is where your SEO work comes into play. Each person has their own unique smart feed. This feed delivers a few pins based on the accounts you are following, related pins, and pins that align with your interests. So only 1/3 of the pins you see today are actually pins from the accounts that you follow! This means, that the majority of the pins that appear in your smart feed are hand-picked for you. Now, this is great news! Because I’m going to guess that not everyone in your target audience is already following your account. So for those who aren’t already following you, you have a pretty good chance of appearing on their smart feed if you play your cards right. 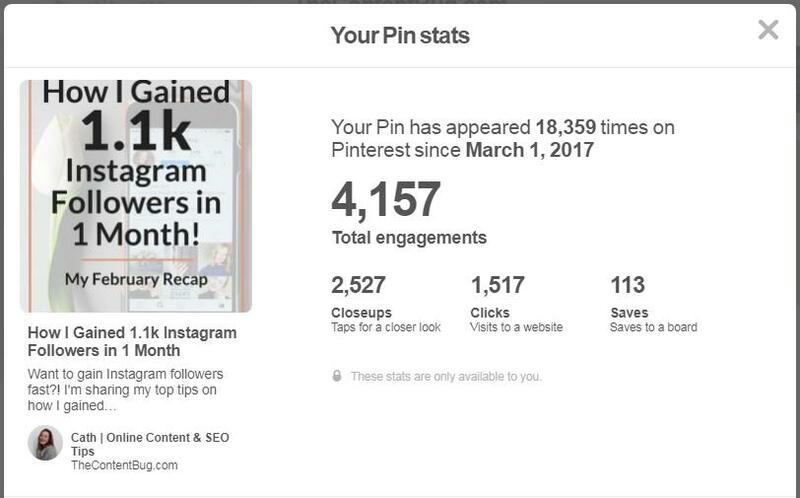 So if you want to reach your audience through their smart feed and search, you need to know your way around the Pinterest algorithm. 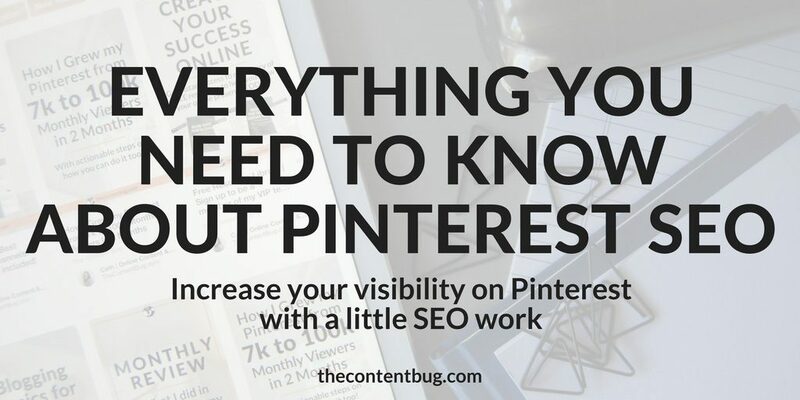 When you start to implement SEO in your Pinterest account, you increase your chances from visibility on the platform. And once your increase your visibility you increase your following, website traffic, and performance in general! There are said to be 4 main factors that affect whether or not your pins show up on Pinterest. Now, I said “said to be” because this information is always subject to change! But at this very moment, there are only 4 main factors that are being talked about. 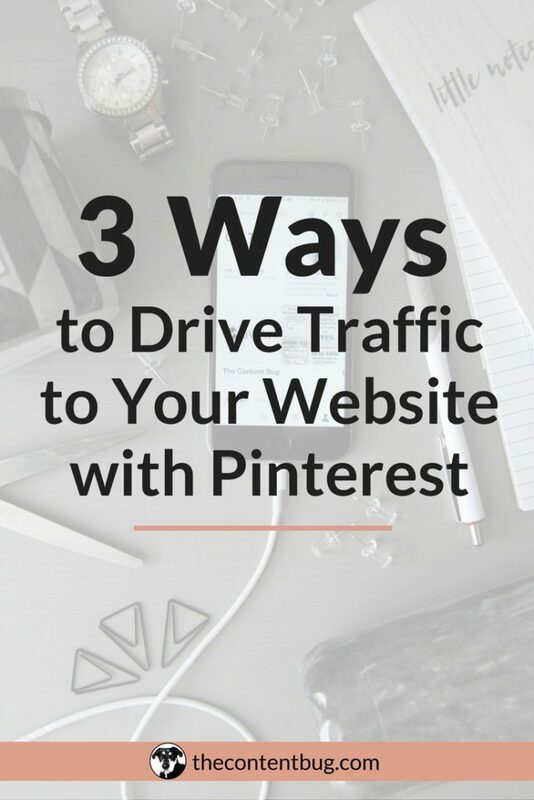 And with this blog post, I’m going to show you how to improve each of those 4 areas to boost your Pinterest SEO. So are you ready to get started? Keep reading. The first step to improving your Pinterest SEO is to improve your domain quality. Now, this doesn’t mean that you need to do anything with your domain like switching hosting servers or something crazy. You are fine on that end. But there is a little work that needs to be done within Pinterest to get your account verified to establish higher authority. If you don’t already have a business Pinterest account, you need to set that up now! It’s super simple and will only take you a few seconds. Once you have a business account, you need to verify your domain so that Pinterest knows that you are legit. And to do this, you need to add a small piece of code to your website. So if you don’t know how to access the <head> of your site, then you might need to contact your website developer. But if you have WordPress.org, you can learn how to do it on your own with Tracking Code Manager. The 2 steps above were leading you to set up Rich Pins. With Rich Pins, Pinterest pulls information directly from your website to create high-quality pins for your account. And this extra information that is pulled improves your ranking and the look of your pins. So it’s a win win. Head on over to my blog post, How to Add Titles to Your Pins on Pinterest to learn how to get a business account, how to verify your domain, and how to set up Rich Pins! This post has everything you need. So take the next step and get all 3 of those things out of the way. Then make sure you come back because we aren’t done with your Pinterest SEO just yet! For each “pinner” or user on Pinterest, Pinterest uses an estimation to determine what level of quality you are as a pinner. Essentially, does Pinterest trust you and the content that you share? If they don’t trust you, then you won’t appear well in search! But if Pinterest does trust you because you constantly share relevant and high-quality information, then you are more likely to appear in search! Now there are a few factors that they review to determine if you are high quality. And we want to be high quality! Amirite?! Are you active on Pinterest? The first thing that Pinterest is going to look at is if you are active on the platform. Do you share pins on a daily basis? Because you need to be! The number 1 thing that helped me to step up in Pinterest game was investing in a pin scheduler. I use Tailwind and I cannot thank them enough for the success that they have brought me! 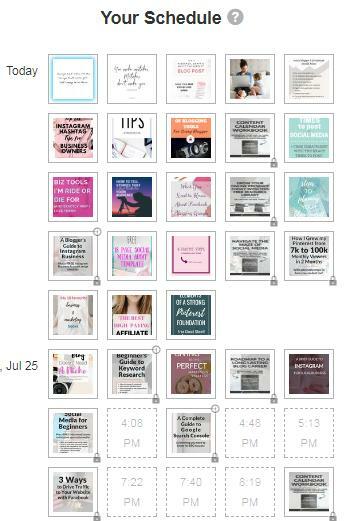 With Tailwind, I spend about an hour scheduling over 200 pins to post on Pinterest throughout the week. And with this scheduler, I pin around 20-30 pins day! And they have a custom time scheduler that generates the best times to post on Pinterest and schedules your pins around that calendar. It’s really awesome! So if you don’t have a pin scheduler, I highly recommend getting one! You can sign up for a 100 pin free trial with Tailwind to try it out. And if you like it you can sign up for just $15 a month. I’m telling you, it’s some of the best money that I invested in my online presence. Do you only share your content? Or do your share popular pins as well? The next area Pinterest is going to look at is what kind of pins you share. Do you only share your own content or do you repin other popular pins as well? The sweet spot is 20/80. 20% of the pins that you share should be original content from your domain. The other 80% should be other people’s pins that you share. And when you try to find other pins to repin, take a look at the popular page. These pins are already performing well on Pinterest so you know that people will enjoy the pin! How is the engagement on your domain pins? The last element that Pinterest will look at in terms of your pinner quality is the engagement on your domain pins. Remember that 20% of the pins shared we talked about being your own unique content? Yeah well, Pinterest wants to see that you have high engagement rates with clicks and repins! This is huge! The more quality repins you get the better. But here’s the thing. If you currently use Facebook groups to get people to repin your pin, you need to stop this now! Because those are not quality repins! You need your pin to be shared by other related accounts on the appropriate boards. If your recipe pin gets shared to a “love” board, this won’t help you! So stop using those threads right now! You are actually doing more harm than good. In order to improve your pin quality, you need to start at the very beginning with the content on your website. Whatever your pin is linking to needs to be high-quality! So if you are still writing 300-word blog posts that are just a list of 10 things without any proof or validation behind it, then you need to step up your content writing game. The image of the pin is what gets the attention of the user! Pinterest is a visual platform. Users want to see something interesting before they click to read more. And this all starts with your pin image. Design vertical images. The best size for Pinterest is 735px x 1102px. Always use a high-quality image. A grainy picture will not do. Include the important text in the image! So if you are creating a blog post pin, the image needs to include the title of the post! 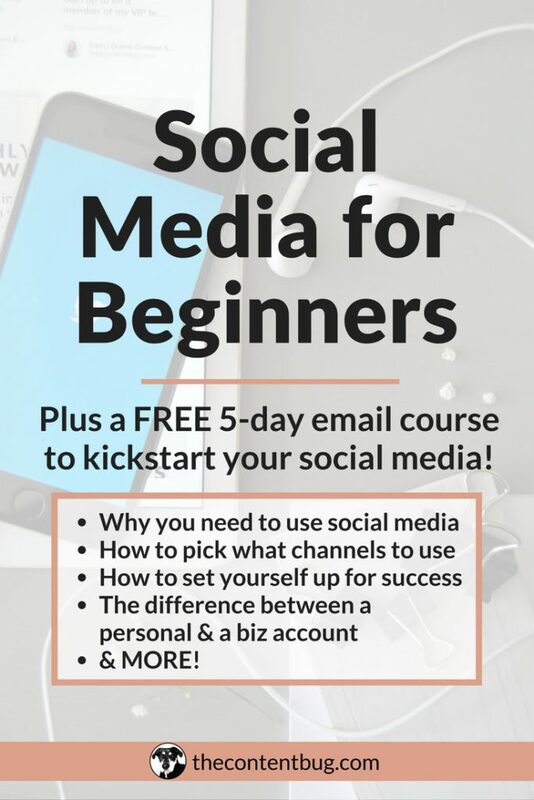 I love to use Canva to design all of my Pinterest graphics. But you can use any image editing or graphic design platform. Once you set up Rich Pins, Pinterest will automatically take the title of the page and place it as the title of the pin. So make sure at the very beginning when you create the content that you linking to that the title is high-quality! And click-worthy! Your pin description is extremely important to the success of your pin. This is where Pinterest pulls the keywords to determine what your pin is about and what keywords it will appear for. So make sure that you include the keywords you want to rank for in the description. BUT when you do this, you do not want to keyword stuff. Your audience will read this section. So you need to write for your audience, not Pinterest! I like to start with the title of your blog post. Then follow it up with 2 sentences about the reader, typically asking questions along the way. Then wrap it all together with a call to action to the blog post! It doesn’t have to be this exact format. But what you need to consider is that you include the title of your blog post, a CTA, and keywords that your audience is likely to search for. If you want to appear in search and in users smart feeds, then you need to be relevant. 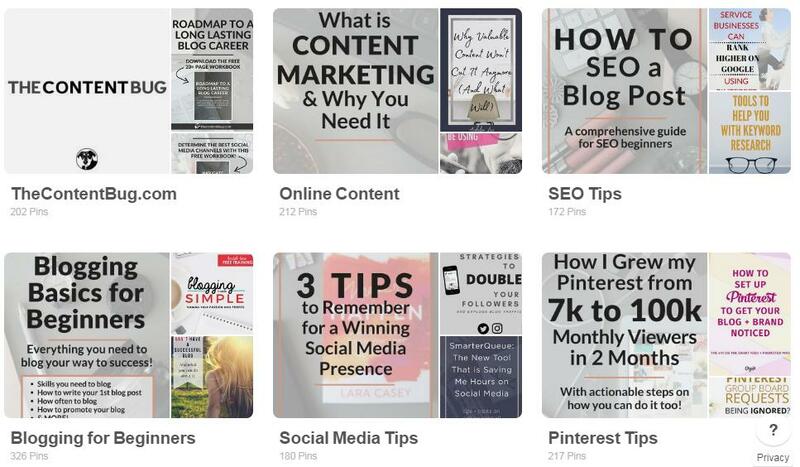 Everything we covered so far has been about establishing your authority to Pinterest. We haven’t even talked about your audience! But with relevance, your audience is at the very center of the equation. Pinterest wants to see that your pins relate to your audience’s interests and searches on Pinterest. If your domain content shares recipes but the boards on your profile focus on DIY, home design, weddings, children, blogging, fashion, makeup, and even college advice, then Pinterest isn’t going to consider you relevant! You need to narrow your niche and only share content that your audience wants to see. When I think about my Pinterest account, it looks very different now compared to the way it looked back in high school. Back then, it was all about me and whatever I liked. But today, I only share high-quality content that is specific to my brand and to my audience! Once you narrow down your boards you become a content curator, not a content hoarder. This will help to grow your audience while improving your relevance and enhancing your Pinterest SEO! 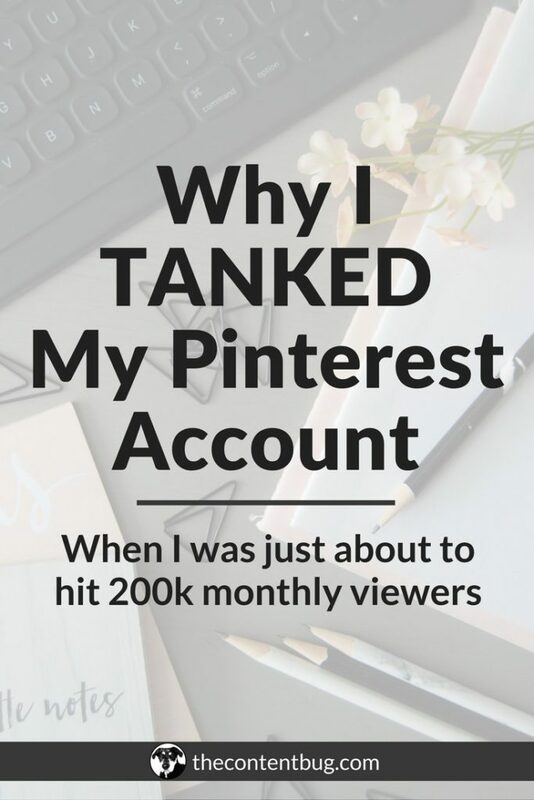 And it’s the biggest trick in the book that is holding most Pinterest users back from real success. Now a second ago I told you that Pinterest wants to see that your pins relate to your audience’s interests and searches. And this all comes down to keywords. Yes, everything I just talked about is extremely important. But your relevance is more than that! So now it’s time to get down and dirty with those keywords. Up until this point, we haven’t touched upon keywords too much. Just a simple mention here and there. But now it’s time to really dive all in. Because keyword research on Pinterest is different from keyword research for Google and other search engines. Let’s just stick with the recipe/food blogger example from before. If you want to create a healthy recipe, the best place to start is right on Pinterest to see what users are searching for. Once you start to type in something in the search bar, other relevant and suggested keywords will begin to appear in the drop down. This is the start to your research! 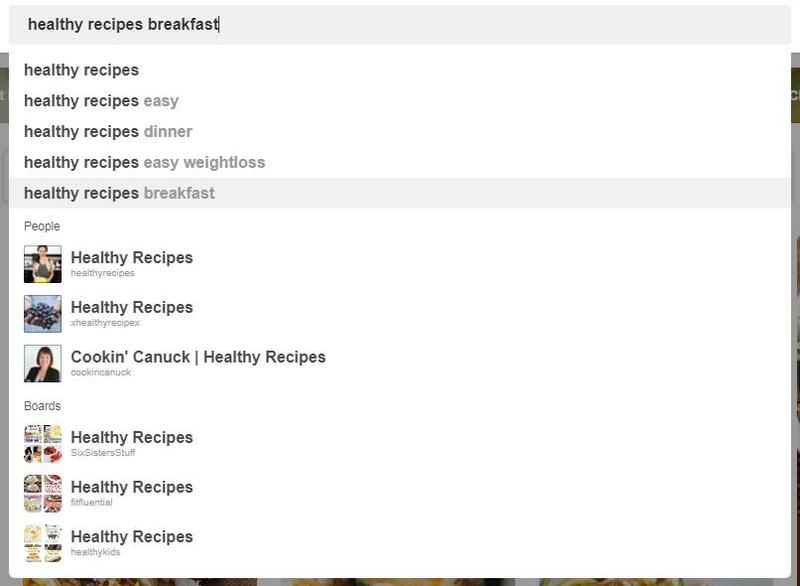 With this search, you get 5 options of what people are regularly researching for related to the keywords “healthy recipe”. Now since I like to take things above and beyond, we are going to take it one step further. When you actually complete the search for your keywords without selecting the suggestions in the drop down, you will be brought to a results page. And at the very top, you will notice another suggested keywords areas to narrow your search even more! And just like the drop down, this area is determined by Pinterest based on what their users are searching for! How convenient, right?! No extra tools needed. So when you pick your keywords for your title and description, make sure that you perform keyword research first! Keyword are important because they help to tell Pinterest what your account and your pins are about. So although the sample of keyword research above was specifically talking about keyword research for your blog posts, it is WAY more than that. You need to include keywords in your profile name & description, board names & descriptions, and pin titles & descriptions. 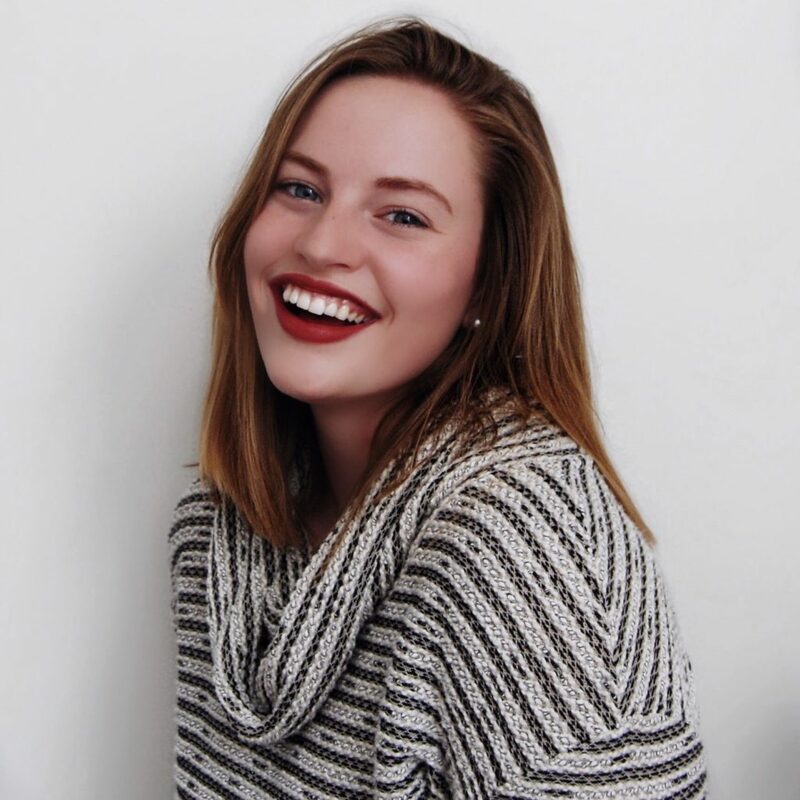 My name is… Cath | Online Content & SEO Tips. That way when people search for SEO Tips, I appear in search! And when they search for Online Content, I appear in search! This is a great way to enhance your account visibility. Start with your name and then include keywords of your focus and niche that people can expect to find on your account. Let’s go back to the health recipe example! Right in search, people who have “Health Recipes” in their name appear! And so do boards with that title as well. So keyword placement in your name is important. With this description, I not only tell people what I do, but I also reference my areas of specialty: content, SEO, and social media. This matches with my profile name and boards on my page telling Pinterest that I’m not lying about who I say I am! Ah ha! My board names are to the point and accurately describe what the users can expect from that board! So you don’t see any “Yum yum” for a recipe board. And actually, you don’t see a recipe board at all! Because that’s not my niche. All of my boards focus on digital marketing to help to establish my authority in that niche like we talked about before. Take a look at the description for my online content board. Notice how I don’t keyword stuff, right? As of right now, Pinterest does not penalize for keyword stuffing. So you could just have a list of keywords that you would like your board to appear for. But my guess is that sooner rather than later they will have the same view that Google does that keyword stuffing is bad. So try to find a natural way to include keywords while writing for your audience. Like my description above! I hit the main keywords digital content creation, online content, website content, social media content, and more while still sounding human. Well, I think I’ve chatted your ear off enough at this point. 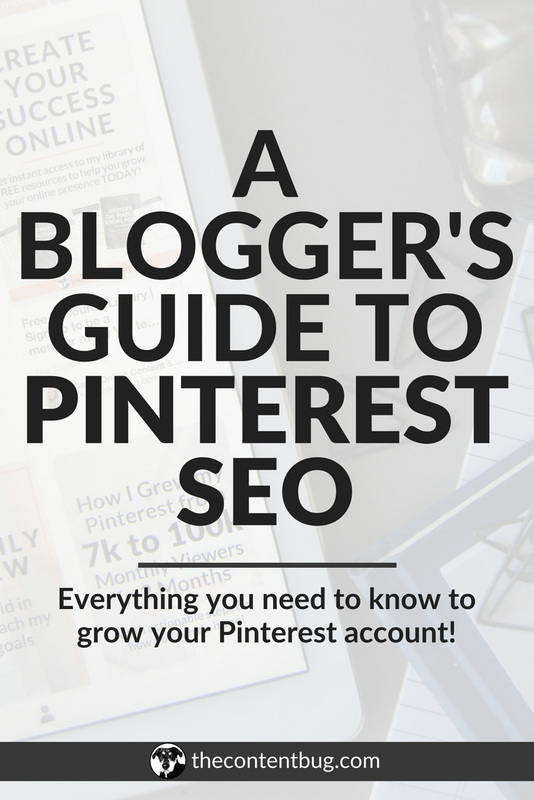 And now you’ve got everything you need to SEO your Pinterest account! So go out there and make it happen… I believe in you, friend! What’s your biggest struggle with Pinterest? Let me know in the comments below! SEO can get a bit complicated and overwhelming. If you want the job done right, sometimes it’s best to hire a professional! Check out my Pinterest services to find out how I can help you grow you Pinterest visibility. Lazyone is getting back in the pinterest game! I was trying to change our business name to “Lazy One Inc. | Matching Family Pajamas” , so we can get those key words in there. Pinterest won’t allow me to go beyond 30 characters. I was wondering how you were able to get yours so long? Pinterest changed their requirements and now stop people from having long names such as mine. Since I already had mine entered before they made the changes, I was allowed to keep it. But if I try to change my name now it would have to abide by that 30 character limit! So you’ll notice that a lot of people still have long names because they don’t want to change them and lose the keyword opportunity! You are literally a life saver. I’ve gone through so many blogs trying to explain this process, but you on the other hand was so detailed and I actually understood everything, and I was following along with the steps as I was still reading even though I still need to finish up some steps. Overall thank you so much!!! a descriptive bio in that case? I would create a bio that talks about you and your blog. So, of course, I would put that you are a beauty blogger to add that keyword in the description but then I would also add the things that you like. So it might not be what you are specializing in right now, but just a general statement about who you are and what you like. My favorite thing to do is to actually search on Pinterest for what other people are saying in their bios! Draw some inspiration there and then create your own! Awesome Information!! I had no clue about most of this as I just launched my first blog. I am going to use your info to set up Rich Pins right now! Thanks for writing this! I’m so glad that you found it helpful! When I was first starting with Pinterest too I was confused on why some pins seemed to have titles and others didn’t! And I later found out that Rich Pins was the answer! If you ever have any questions just let me know. Very helpful post for us, who had never used Pinterest in our personal lives. Changing our profile and adding keywords to the descriptions is something we will work on and didn’t even realize it was that important until reading this article. Much appreciated! Great Information! I guess I need to take off the bandage and start a business account! Just do it! Transfering to a Pinterest business account is sooo easy! Plus you get access to your analytics which is really important to see your growth! Thank you, thank you for the time you put into this post! It’s super helpful! 🙂 xo! Thank you for reading it! And I’m so glad that you found it helpful 🙂 Now go SEO that Pinterest, girl! These are all great tips! Something I’ve found that works for me when I make pin images is making extra long pins with a list or steps on them related to your post. When I started doing this, I went from one or to repins to 95 in one week! That’s such a great tip! Infographics and other images like that do perform really well on Pinterest! I haven’t gotten into them yet, but that is great advice for all other pinners! And congrats on the success! That’s amazing, girl!